When the final whistle of England's friendly against Ireland blows tonight it will finally be the end of the football season and Wembley can turn its attention to poker. 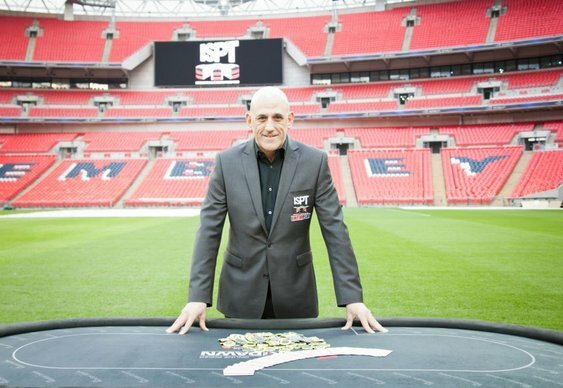 The much anticipated International Stadiums Poker Tour (ISPT) hits the home of football on Friday for six days of action with the eventual winner set to walk away with a cool €1 million. ISPT has confirmed details of how players can buy-in directly to Day 2a at noon on Friday 31st May and on Day 2b at noon on Saturday 1st June. Wire Transfer (Please email support@dusktilldawnpoker.com for the bank details. The €2,700+€300 buy-in will get players a stack of at least 50,000 chips with 50% of the players in Day making the money. 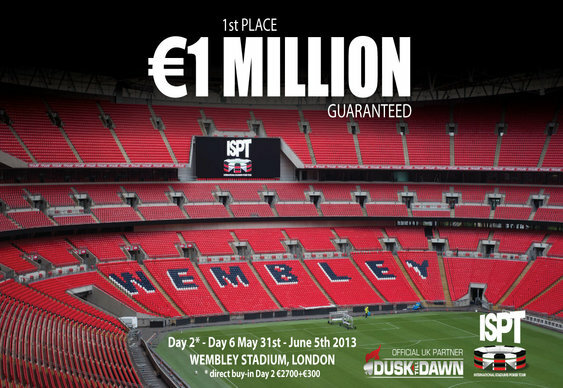 There are still opportunities to make it to Wembley much more cheaply though with online satellites running at DuskTillDawnPoker.com at 8.30pm tonight, tomorrow and Friday. There are also chances to qualify in live satellites at a variety of venues throughout the UK. Full details are available at Dusk Till Dawn's ISPT page. A great 15 tournament side events line-up has been finalised too with buy-ins starting from £200. Once again, full details can be found at Dusk Till Dawn's ISPT page.